It’s 2017 and if you are living in the world, then you are a spirit created by Father God and you need to know that, the end times are here….It may not seem like it, you may not believe it, or you may think the end of the world would not take place in your lifetime. It can happen, but in actuality the ending is the new beginning for the world and for all spirits in Heaven. 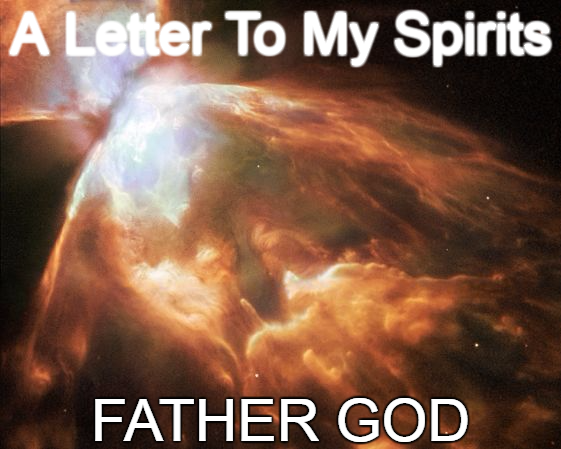 Most say they believe in Father God, the only creator, but if you really believe, ask yourself this; would a magnanimous God create spirits and create a world, then just go away in the background to obscurity and not have an opinion about the spirits he commanded to create and to live upright within the world? We believe that Father is all knowing, then why is it not taken serious that we spirits who are in the world come from heaven with a purpose and instructions to be the best spirit by living through the soul. Spirits are all here on “purpose” meaning they have a designed task that must be accomplished before returning to heaven. On the command of Father God we have the assistance of Angels, Spirit Guides, Guardian Angels, Elders, Council, as well as our soul family in heaven. They are all working on our behalf, on the command of Father God who is the Chief Executive and Operating Officer of the universe. That means Earth, Uranus, Mars, Orion, Saturn, Neptune, Sun, Moon, Stars, Weather, Seasons, etc. he runs and owns it all. Ponder for a moment, how much work Father God puts in to keeping humanity safe from harm, ensuring that things work out in the form of happiness, “blessings,” success and life being bountiful for all spirits? You get love, family, fame, career, money and more. Spirits that have been blessed monetarily while living in the world are commanded to give money to spirits they encounter with a need and then there are spirits blessed with spiritual gifts like knowing, hearing, seeing and feeling, they are commanded by Father to impart spiritual wisdom abiding in integrity and truth. When it’s all said and done you will not be able to take material possessions with you to Heaven and those things you have become attached to while living in the world will be of no concern or importance to you once your spirit crosses over and returns to heaven. 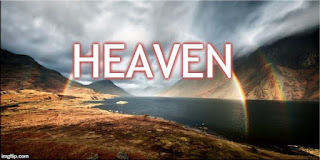 Heaven is home to all spirits and when the last breath is taken, spirits advance and ascend to heaven with a continuation of lessons and soul advancement. What’s forgotten while incarnate (living) in the world is that it’s takes a joint effort of all the spirits in heaven and in the world to aid Father God in managing and maintaining every spirit, every universal terrain, every spirits safety while in the world and heaven, because yes there are demonic forces in the atmosphere that work against goodness and peaceful outcomes. The demonic forces can come in the form of those who are innately evil and do harm to others all the while walking and sleeping with innately good spirits everyday. They are the spirits whose energy makes you feel off, because they are dark in thoughts and deeds. If you pay attention you will observe that they are the spirits who do not question their actions and who are innately jealous of other spirits who are living their life purpose. The innately good (intuitive) spirits listen to commands through good thoughts, actions and ideas. They are the spirits that go over and beyond the call of duty, they honor the value of life by being a helper in the world. They are called Earth Angels, Crystals, Indigos and Lightworkers. They innately transmute negative energy from coming into your space, as well as theirs. They are not only in the church, as Father God is not only in the church. Father God has commanded the “Mega Church” to give back to his spirits, if they see a need within humanity they must consistently rise to the call whether it be FREE clothing, food, childcare, bill payment, advocating, teaching, etc. The key word is consistent, not just during natural disasters or Sunday service, because the need in the world is ongoing. Each church has a gift and they are not expected to do anything outside of their scope of expertise or gifting. Churches that are good at business can work within humanity with training entrepreneurs to run their very own business, advocate on behalf of their community for the government to provide free food programs. While you attend church and give your tithes (10%) to the pastor’s organization do you ever consider how your church serves those in humanity where you clearly see the impact they are making with the spirits that request help? Churchgoers attending church with the promise of receiving prosperity and trying to redeem themselves through a pastor, which they are not a conduit to Father God, but a spirit created like you, traveling alongside of you during your lifetime. What is church being used for and how should Father feel about a jet being purchased, so a pastor can travel between states and countries to collect more tithes? There are numerous homeless spirits living on the street all over the country and if you trust Father God then you know you will never go without. If he plans for you to go without, know that his grace is sufficient in times of trouble and that Father has you in the good and the bad. That is pure abandonment of your wishes and totally trusting in Father; if you are commanded to sell the jet and build a “Mega Homeless Shelter,” would you do that? Father wants leaders to have the kind of trust that enables him to work through them, devoid of the outcome being directed by their efforts. Once the promise (blessing, prosperity, love relationship, etc.) is delivered, you no longer follow the command of Father God, he is being tuned out and your comfortability takes precedence over his will. Praying and seeking direction all the way through, but once it arrives guidance and direction are no longer needed. All spirits are to be provided for and it takes spirits who have the means to be their brother’s keeper. Brother’s Keeper is not just your parent’s child but those who are in the world with you at this time, the spirits you see on the street and are clearly homeless, those that are in need of a hand up and those that may need a good listener, who utilizes their soul to give spiritually sound advice, which leads to a favorable outcome. 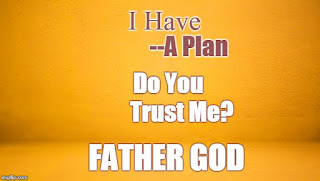 Remember Father is a spirit and we all know Father uses people, animals and children who are called to fulfill a need. If you can do good for someone, then you are commanded to do good, with a gesture of benevolence. Whatever is in your power to do, do it with the right motives and intentions, nothing goes remiss when dealing with spirit; what you put out there is observed and reciprocity is activated for your highest good, but if your intent is led by what you can receive or what you will gain through manipulation then you should abandon the notion of receiving your blessing or promise. Spirits that are sent to you, are your assignment (test); your service to them advances your soul. When you return to Heaven you are placed on a higher level spiritually, the key is to use your soul instead of your thoughts to pass the test. If you as a spirit cannot uphold your side of the deal, which is to create for the highest good and be benevolent then why should Father God take a front row seat in your life? You pray for healing, financial gain, the perfect mate, loyalty of others, a home, etc., yet you are standoffish and mean to your fellow spirit. You ask Father God for what you need, ask Father first, what can I do to make your job easier, how can I serve and honor you today or is there anyone you want me to bless or be nice to? Father is not pleased, nor impressed with the condition of the spirits who return to him broken, because of their interactions with fellow spirits in the world who harm them. Spirits that return to Heaven tell Father who, what and where it happened in addition to what role they played in having tragedy or chaos occur during their lifetime in the world. If Father allows the world to keep going in the direction that it is going, then all he did as Jesus would be in vain, so it must be done now. Spirits in the world will hear from Father God individually as humanity is catapulted into a new beginning that starts in 2017, a one numerical year. Spirits must remember Father is always with you, as he was in the clouds during the 2001 World Trade Center disaster. Spirit is not temporal, it is eternal. The time is now.